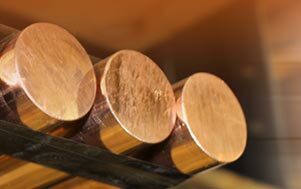 Aluminum Bronzes / Cast Aluminium Bronze Alloys are a combination of high strength and corrosion resistance materials which makes them one of most important engineering materials for highly stressed components that are used in highly corrosive environments besides providing optimum wear and abrasive resistance. 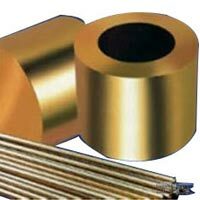 Continuous Cast Aluminium Bronze Alloy is the form of Aluminium Bronze Alloys. 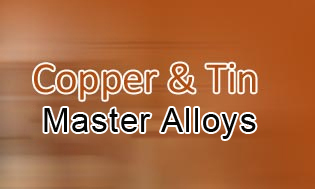 Single-Phase Alpha Alloys - These have a good ductility and are suitable for extensive cold working. 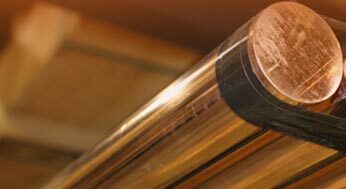 CA102 is typical of this type - Alloys containing 3% iron, such as CA106, are single phase up to over 9% aluminium.